Community bread projects; Bread training, activities, talks; Bread sales from Planet Leicester Bakers. PLANET LEICESTER BAKERS harnesses the power of handmade bread to bring local communities closer together. 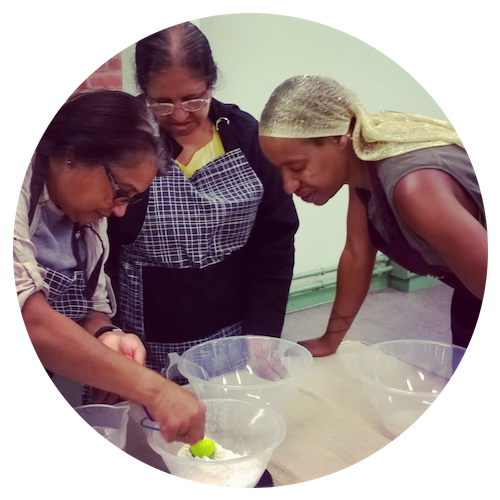 We give people the chance to learn, work and have fun together with bread dough. It is a business with community at its heart. Planet Leicester Bakers is a member of the Bread Angels network and supporter of the Slow Food Campaign. 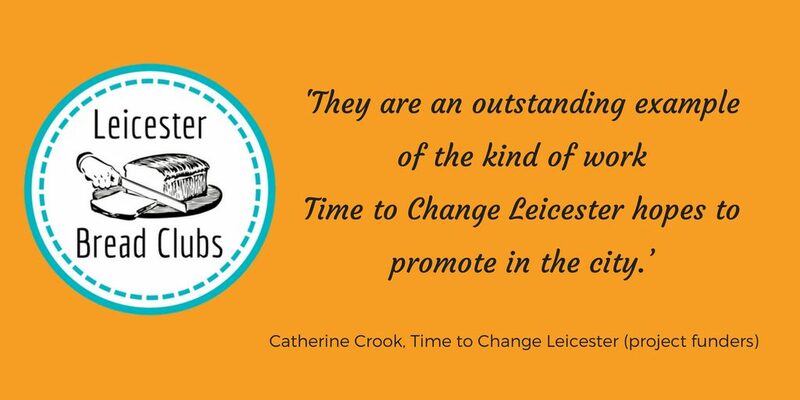 Planet Leicester Bakers is delighted with the response of ‘outstanding’ from funders Time to Change Leicester to our latest community project. The idea for Leicester Bread Clubs was first promoted in edition 3 of Planet Leicester News in 2017. The project report (available as a PDF here) details the first Leicester Bread Clubs project, which has been developed and delivered in partnership with Leicestershire Partnership NHS Trust. 2019: A busy year already, and more to come! Tailored Services (private bread training, team building, public speaking), bread sales through the micro-bakery and grant funding combine to support the community work. Planet Leicester Bakers is always on the lookout for new partners and new ways of working. Visit the contact page to make an enquiry, or reach us via any of the social media icons at the foot of any page. Planet Leicester Bakers has been created and driven by its founder, Michelle Stratford. Michelle has years of experience in working for, with and in communities of common interest. This work has involved helping people to tackle personal and community problems and challenges, as well as advocating for positive change. She has a passion for finding new ways of working that engage and excite people. A humble loaf of good bread does just that! Lesley, workshop attendee and bread customer. Planet Leicester Bakers is based and works in the UK Midlands historic city of Leicester and county of Leicestershire. However, we are always interested in taking our ideas to other places and to work with other people – geographical boundaries are no barrier. If you like what you see get in touch, no matter where you are.